King's Tavern in Natchez, Mississippi, is known for its hand-crafted cocktails and the ghost that haunts its halls. Fancy a strong cocktail and a ghost sighting? Then head to King’s Tavern in Natchez, Mississippi. 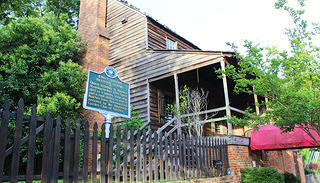 Perhaps it’s not surprising that the oldest building in the Natchez area is said to be haunted. It’s been standing, collecting stories, since the 1760s, when its brick and wood walls were constructed with beams from scrapped sailing ships and barge boards from flat river boats. Originally, it was block house for nearby Fort Panmure. But after the Revolutionary War, the block house became available for purchase, and in 1789, a man by the name of Richard King opened a tavern and an inn in the building. 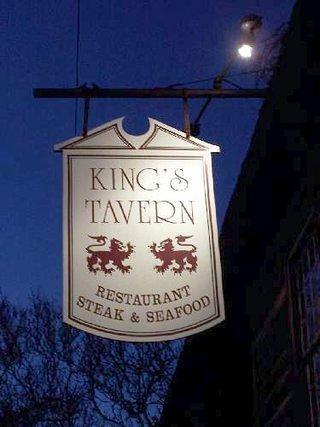 King’s Tavern was born. It operated as a stage stop, a mail station, and a tavern for many years. King sold the building around 1817, and it became a private residence. Fast-forward to the 1970s: The building was purchased and restored by the Natchez Pilgrimage Garden Club. It later became a restaurant. And in 2013, chef Regina Charboneau and her husband, Doug, bought the building, added a wood-burning oven, and created a menu of small-batch liquors, craft cocktails, and wood-fired flatbreads. Among the original architectural details and antique furniture decorating King's Tavern today, there’s another old presence inside: The ghost of a tavern waitress and Richard King’s mistress, Madeline. As the story goes, King’s wife stabbed Madeline to death after learning of their affair. And now, centuries later, Madeline’s spirit is said to still walk the halls. Other unexplained events have occurred in the building throughout the years: sounds of a baby crying in an empty room, mysterious images appearing in mirrors, customers reporting an unseen force pushing them or pulling their hair. Hours: Thursday, 11:30 a.m.-9 p.m.; Friday and Saturday, 11:30 a.m.-10 p.m.; Sundays, 11:30 a.m.-9 p.m.
You’re Having: Braised brisket flatbread and one of the many seasonal, hand-crafted cocktails. like the RC Cola with Kraken black spiced rum, black cherry cola, angostura bitters, lime, and effervescence. Don’t Miss It: The tavern offers regular mixology classes. For $35, you can learn the art of cocktail making alongside bartender Ricky Woolfolk.